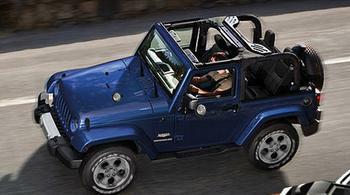 Chrysler (FCA US LLC) is recalling 394,258 model year 2007-2010 Jeep Wrangler JK vehicles manufactured March 2, 2006, to August 13, 2010. Failure of the air bag circuit may prevent the driver's frontal air bag from deploying in the event of a crash, increasing the risk of injury. Chrysler will notify owners, and dealers will replace the clockspring, wheel back cover, and column shroud, free of charge. The manufacturer has not yet provided a notification schedule. Owners may contact Chrysler customer service at 1-800-853-1403. Chrysler's number for this recall is S33.